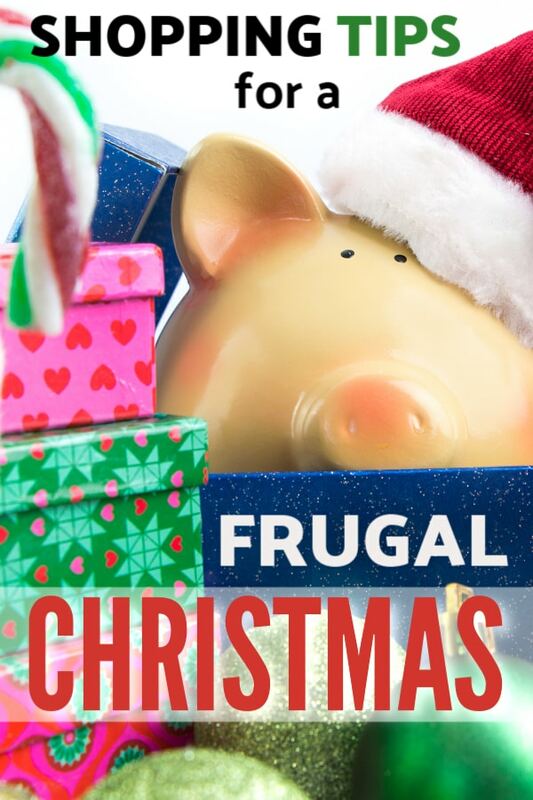 I put together these Holiday Shopping Tips for a Frugal Christmas because I hate to see the Christmas spirit ruined by financial stress. The joy of giving is a big part of the season for many of us. Have you ever noticed that some Christmases are bigger than others in the gift department? I sure have. Time, money or circumstances can impact how many gifts end up under that tree. Some people will try going bigger, year after year, and topping the season before. Me personally, I’m as frugal as they come. I love to give great gifts but I equally love finding a great deal. Being cost-c0nscious isn’t cheap; it’s smart. 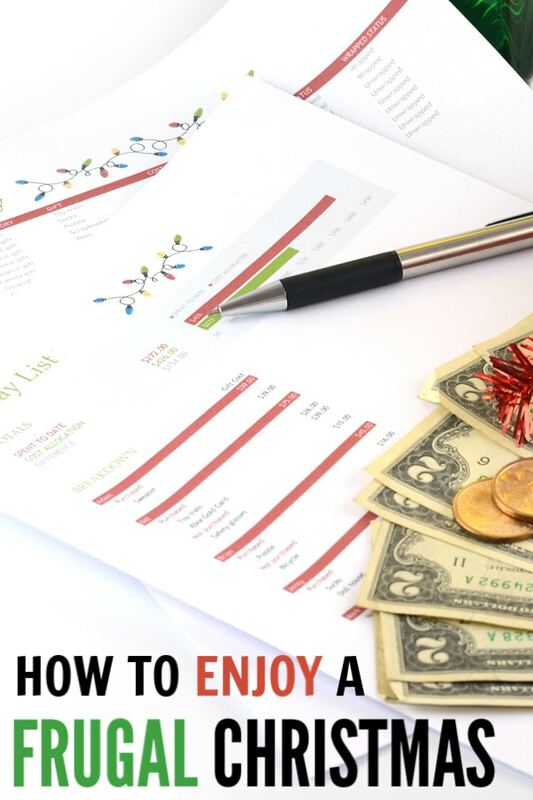 It’s perfectly normal to think about your finances during the holidays, and just like any other bill or expense sometimes you need to budget and cut back. 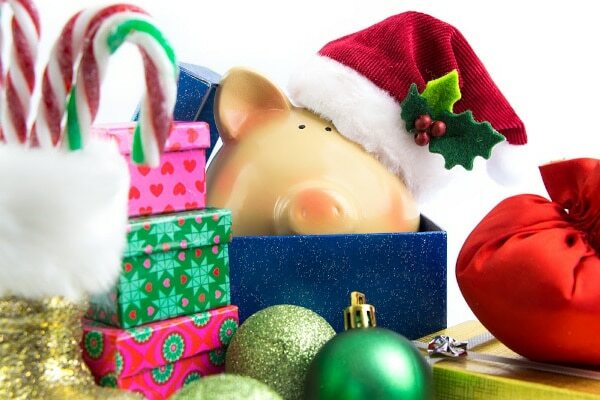 Whether you need to save a little or a lot, I’ve got a few tips that can help you save money on your Christmas shopping this year. During the holiday season, we are bombarded with advertisements and this makes it really easy to go overboard or get off track. Set a budget and put some time into creating a shopping list you can feel good about. Avoid the urge to buy things that aren’t on the list and if something better presents itself you can swap it out, but only if it falls in your original budget. You will be tempted to splurge, don’t do it! There will be a ton of “deals” for the holidays and this is where the Christmas shopping trap is. If you really want to save, only spend time in those stores that carry what’s on your list. If you’re not planning on spending money there, then there’s no reason for you to be there especially this time of year. There’s a reason that Black Friday and Cyber Monday is so popular, the savings are hard to beat! I like to scout out the holiday sale schedule for a specific store from the year before. Although some of their items and pricing may be different, they usually follow a similar schedule year after year. Because quantities run out quickly on these discount days, I try to focus on nabbing those higher priced items first. I’ve found that people either love or hate this idea; you can decide what works for you. If you have multiple places to visit or have a large family gathering for Christmas it can be pretty expensive to buy for every single person. Take the lead and float the idea of buying for the kids only. You might find that others are more than happy to oblige (it saves them money, too). Other alternatives could be buying one ‘family’ gift for each household or each adult buying a ‘mystery’ gift for a gift exchange. I think kids have gotten accustomed to receiving a lot of presents for Christmas and I encourage parents to work on changing that mindset. Christmas isn’t about how much we get but instead should be about giving and it’s up to us to set that example. But, I understand you not wanting your kids to feel slighted and I’ve found that creating a theme for the family makes that transition easier. One of my favorite family themes is called Four Christmases and each person gets 4 gifts: something you need, something you want, something you wear and something you read. You can do something similar with 3, 2 or 1 gift. Having a theme is a fun way to start a new family tradition. Ordering prints online is inexpensive and they make a wonderful gift. You can build collages and a variety of layouts easily online and keep it simple by pulling from social media, and the best part is you only have to spend a couple of bucks. If you want to elevate the gift, frame it. If you want to cut back this year think about how you can spend your day without it being centered on opening presents. Go to the movies, bake holiday treats together and deliver them to friends and family, spend the day in your PJ’s and play board games, have popcorn and watch a holiday movie. Give the gift of experience and you will create long lasting memories for your kids. This won’t work for everyone but if you’re gifting items like candles, picture frames or beauty products you might get better deals buying those in bulk. Consider gifting similar items to multiple people and you might have an opportunity to save. If you have a membership-only store nearby find a friend that has a membership and ask if you can tag-a-long for a day; these warehouse stores usually carry items you’re already looking for at a steep discount. People will appreciate your homemade gifts when you make sure it’s something they can use or enjoy. It’s worth taking some time to pick out the ‘right’ gift for your recipient. Whether you have a knack of sewing, painting or crafting I’m sure there is something out there they will appreciate. Some of my favorite inexpensive DIY gifts include pictures, Mason jar gifts, potpourri, homemade gift baskets, refrigerator magnets and essential oil beauty products. 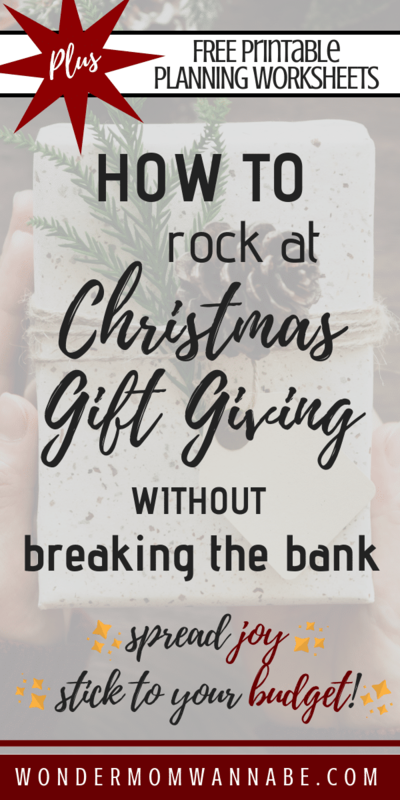 Okay, this doesn’t really help you save while shopping but could help you buy less gifts overall. When you wrap your gifts individually, you get more out of your shopping. Instead of wrapping entire outfits together, wrap them separately and have more to open. If you feel like Christmas presents are light this year ask the little ones to help you open yours, it’ll feel like more. I encourage you to try to curb spending this year. I think you’ll find that it’s possible to save money and still have a fantastic Christmas holiday. 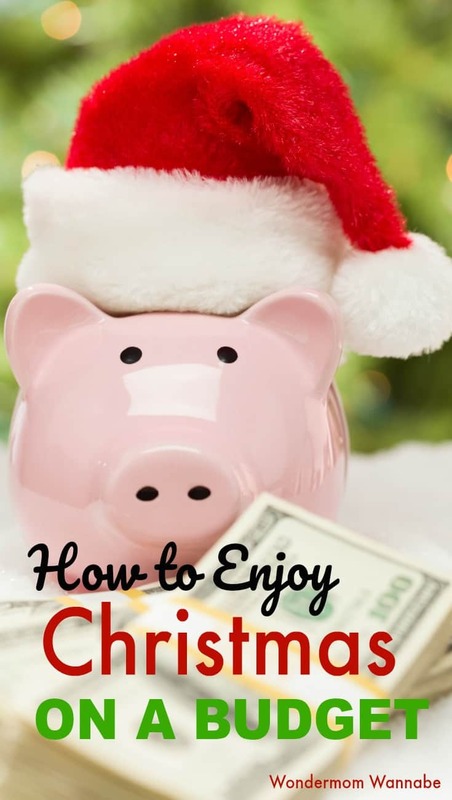 Christmas has never been about money and you don’t need to buy things to have a great time. Focus on spending time with your family or friends or simply enjoying the magic of the season.